Oklahoma Connection | McLean was born in Okmulgee, Oklahoma, and grew up in Muskogee, Oklahoma. J. W. McLean was the president of his high school class, band, and student body, was a state champion debater, and was undefeated in collegiate debate while a student at OU. Oklahoma native J. W. “Bill” McLean began his career in Tulsa, Oklahoma. 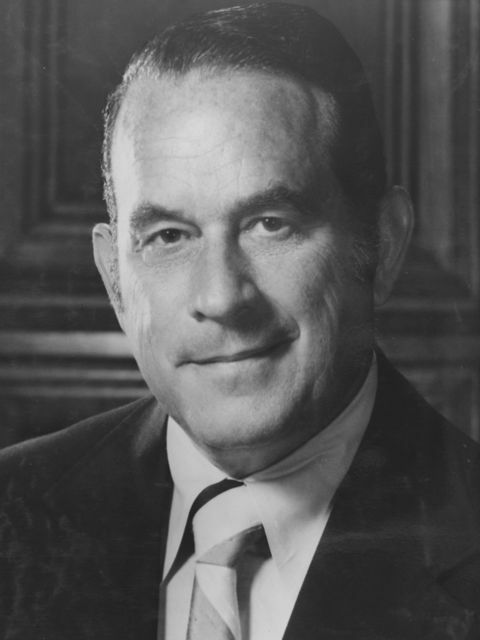 By the age of 36, he was the president of the Texas National Bank of Commerce and later moved to California to work with the world’s largest bank, Bank of America. He specialized in expansion of its bank services and was instrumental in the nationwide licensing of BankAmericard. He returned to Oklahoma in 1967 and led construction of Liberty National Bank and Trust Company and became its chairman of the board and chief executive officer. He served on the Executive Reviewing Panel of the Oklahoma State Regents for Higher Education, was a member of the Executive Committee of the Frontiers of Science Foundation of Oklahoma, and devoted his life to virtually every major civic enterprise in Oklahoma City. See pictures of J.W. McLean and other media HERE.